Very interesting! 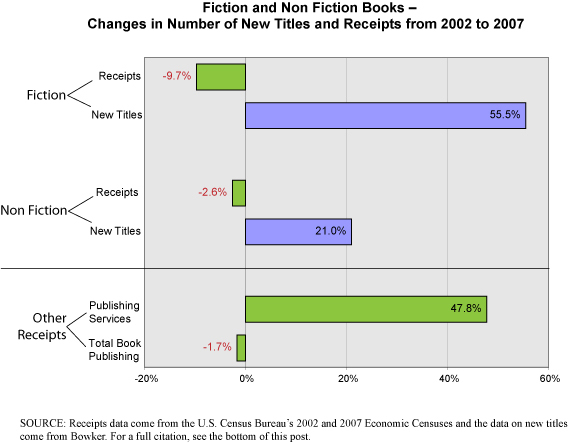 The declining revenues from an increasing number of titles published is similar in some way to the newspaper situation in Detroit. I comment about the Freep’s latest “innovation”: asking carriers to buy the papers they deliver. In the publishing industry those with the power squeeze the authors in all kind of ways because… well because they can.